We at CFIF have long sounded the alarm regarding the federal sugar policy morass. 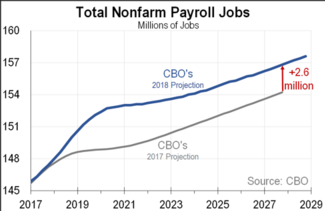 It costs almost three times as many jobs as it claims to protect; results in American consumers and manufacturers paying double the cost for a product that consumers and industries in other countries pay; eliminates over 100,000 American manufacturing jobs; and costs Americans approximately $3 billion per year. But now there’s something you can do to bring about positive change. 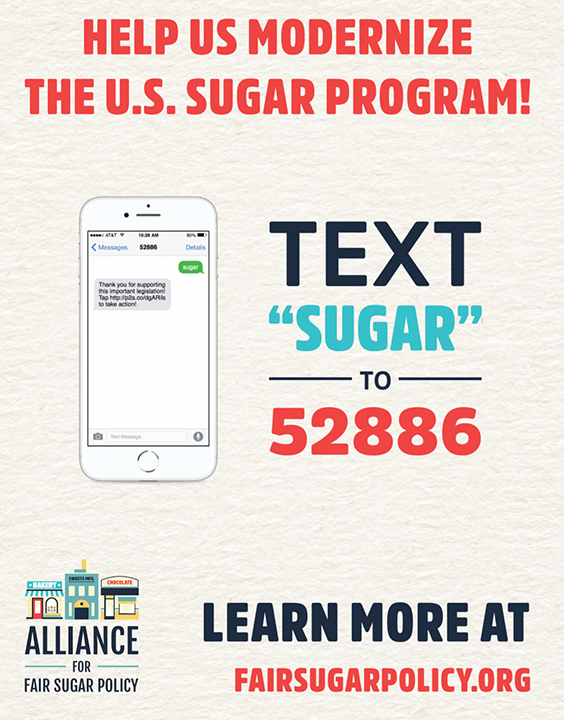 Our friends at the Alliance for Fair Sugar Policy have launched a simple and effective grassroots tool to help generate messages to Congress. There’s nothing that grabs the attention of Senators and Representatives and drives them to action more than hearing from actual constituents. Accordingly, please take just a short moment to view the image below and take action by simply texting “SUGAR” to 52886. 5:30 CDT/6:30 pm EDT: Leslie Coleman, Public Relations Coordinator for Lifeguard Ambulance Service: Santa Rosa County Chamber of Commerce’s Excellence in Business and Leadership Conference. Facebook Testifies Before Congress, but Where’s Google? That’s the question asked by Timothy Lee, CFIF’s Senior Vice President of Legal and Public Affairs, in an op-ed published by The Hill in the lead up to Facebook CEO Mark Zuckerberg’s much-anticipated testimony before Congressional committees this week. As a threshold matter, platforms must accept that they play an important role in addressing the harms they enable. 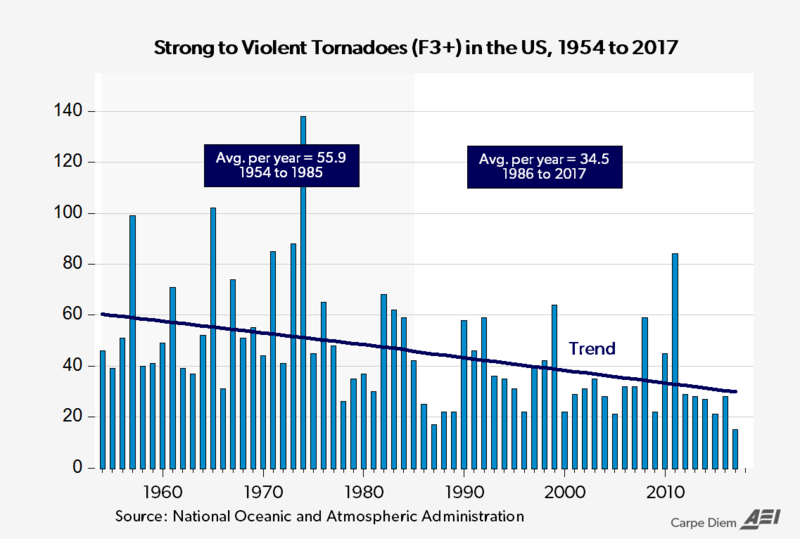 To date, their voluntary measures have fallen far short, largely consisting of asking outside groups like Wikipedia or Snopes.com to referee their problems. But non-profit encyclopedias and fact-checkers simply aren’t equipped to solve these problems, particularly those who might possess their own biases and motives. Platforms themselves can and should do far more to address illegal and illicit conduct they facilitate. The internet has changed the way we communicate, conduct commerce and entertain ourselves. Growing concerns about the ease with which bad actors exploit it, however, undermines consumer confidence and erodes public trust. By eschewing accountability, dominant online platforms contribute to that downward spiral. CFIF steadfastly supports America’s world-leading tradition of strong intellectual property rights, which have made us the most creative, inventive and prosperous nation in human history. Well, this week offers very welcome news. Introduced by House Judiciary Committee Chairman Bob Goodlatte (R – VA) and Ranking Member Jerrold Nadler (D – NY), the Music Modernization Act combines music licensing reforms outlined in the CLASSICS Act, Songwriters Equity Act of 2015, the rate standard parity provisions of the Fair Play Fair Pay Act, and AMP Act into a single, consensus piece of legislation. The MMA addresses specific music legacy issues such as establishing federal copyright protection for artists who recorded before 1972, creating a single licensing entity to administer music publishing rights for all digital music and ensuring producers and engineers receive royalties for their contributions to the music they help create. This legislation is long overdue. CFIF therefore applauds the Committee for its unanimous support, and urges swift passage by the House to finally rectify the existing unfairness in the nation’s music laws. 5:30 CDT/6:30 pm EDT: Sam Parker, Santa Rosa County Commissioner: The Latest News and Commentary.